This quick guide is an excellent introduction to the Tarot. Theory, history and a breakdown of card meanings. Tarot is a means of divination – that is, the art of ‘reading’ the future or uncovering the unknown. The tarot consists of a set of playing cards which are dealt into a particular layout according to what your question is. When dealing the cards you should focus on a particular problem you may be experiencing or think about an aspect of your life about which you’d like more clarity. Traditionally the tarot has been interpreted by a ‘tarot-reader’ – either professional or amateur. More recently, however, computers have been used more often to give readings online or on CD Roms etc. There is much mystery surrounding the history of the tarot and myths about its origins abound. 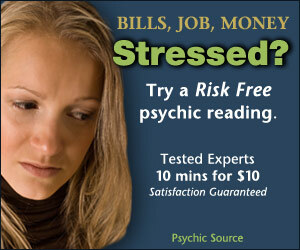 Some cynics say that this mystery has been perpetuated as a marketing tool for tarot card salesmen! However, by just looking at the evidence available we can estimate that the earliest surviving full deck was painted in 1422 by Italian artist Bonifacio Bembo. This is known as the Visconti deck, named after the Duke of Milan, who commissioned them. Although accounts of Ancient Egyptian, Celtic, Indian and earlier Italian links have been suggested, there is no evidence to support claims of earlier decks than the Visconti. It is possible that these more exotic links were drawn as a result of the Moorish and other cultural influences on Italian society at the time. The cards were originally used for a game called Tarocchi or ‘Game of Triumphs’ which was similar to Bridge. The game was played mainly by the Upper Classes and has continued in some circles (mainly in Italy and France) to be played to this day. The tarot’s use by the Upper Classes probably saved the game from being banned by the Church (though some accounts state that tarot was considered heretical and outlawed by the Church). Indeed in the latter half of the fifteenth century some church sermons labelled tarot as the work of the Devil. But in fact the Church concerned itself more with the use of ordinary playing cards, which were considered gambling. Some cards from the tarot deck – such as the Devil, the Tower and the Death card – were on occasions omitted from the pack, as they were feared by many people, but little harm was actually done to the use of the cards until centuries later. The tarot has undergone many permutations in its use, design and interpretation over the centuries. There is early evidence, for instance, to suggest that one of the first permutations was in using the cards as inspiration for poetry – possibly the first use in describing aspects of the human psyche and personality traits. The cards have since evolved according to the prevailing culture of the times and attitudes within them. The first evidence of tarot being used as a divinatory tool came in the early eighteenth century in Bologna. In 1781 a clergyman, Antoine Court de Gebelin, revitalised and raised awareness of the tarot in his book, which drew links between the imagery in the Major Arcana and the mysteries of Ancient Egypt. This was later picked up by occult practitioners (occult means “hidden”) such as Alistair Crowley and Waite of the Rider-Waite deck. The imagery on this deck is the one with which we are most familiar today as this was the deck introduced into America in the twentieth century and the only one readily available to generations of Americans. We therefore tend to associate the tarot with more esoteric connections, rather than the lighter use which defined its origins in fifteenth century Italy, over 500 years before. There are 78 cards in a tarot deck. These cards are made up of a Major Arcana (Trumps) and Minor Arcana. Arcana means mystery, which reflects the secret wisdom contained in each card. Major Arcana or ‘Great Mysteries’ consists of 22 cards and represents our journey through life. consists of 56 cards and represents day-to-day living. The Minor Arcana can be divided into four suits. These are Wands, Cups, Swords and Coins. Key words: Action, change, beginning, resolution, fire element. Key words: Feeling, emotions, spiritual, love, water element. Key words: Ideas, understanding, reason, conflict, air element. Key words: Money, property, abundance, earth element. plus four Court Cards – the Page, Knight, Queen and King. The Court Cards traditionally represent a person in your life or an aspect of yourself. For instance, turning up the Knight of Wands suggests you or someone in your life may be acting irresponsibly and therefore behaving like this Knight. This site has been written so that all the interpretations can be found in the text. You do not need to do any extra work in adding the Court Card interpretations into your readings. King: The masculine manifestation of the suit – its ‘outer,’ worldly aspect.